Is It Good? 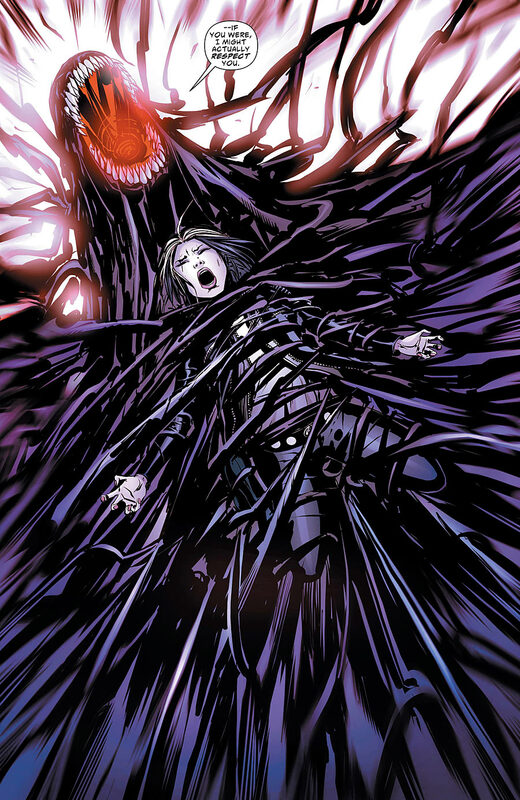 Coffin Hill #5 Review – AiPT! In the latest issue of Coffin Hill we draw closer to the end of writer Caitlin Kittredge’s first storyline and “learn the nasty truth about the darkness that Eve Coffin unleashed in her hometown so long ago.” Is it good? Man, the owner is really just letting his house go. I mean, just look at all those vines over that place! Now this feels like a great issue; just as good as the first one. The mysteries and sense of vagueness remain, but with last month’s addition of a villain, the story feels stronger. There is some real, palpable conflict for Eve here, coupled with a strong sense of urgency (I mean, the spirit is control of her friend and has Nate under its fingernail). Sure, we knew something big and nasty was building in the backstory — but now that we can see it (the interplay between Eve and the spirit for instance), everything in the narrative feels more dangerous and threatening; there’s a real and rather scary force that our heroine will have to face down sometime in the near future. The flashbacks continue to add to the history of the characters (with one in particular helping to make Eve a bit more likable as a teenager) and flesh out some backstory for things going on in the present. The dialogue isn’t as vague with characters speaking in doubletalk or alluding to things that have happened before that the audience doesn’t know about. The story feels more focused and clearer than usual in other words and after a few issues of being vague, it was nice to help audience a better picture of the situation. Otherwise, the writing is perfectly fine (dialogue, structure, and flow). Little bro, you are so good at guessing things. The artwork by Inaki Miranda is a treat as always. The usual things I comment on apply here, with striking characters, engaging scenery, and a fine use of color and layouts (one page’s layout is a bit confusing to follow though). However, I would like to highlight one aspect that was done incredibly well this time around and that was the combination of action and horrific imagery. The entire scene where the spirit and Eve confront each other is well done and a sight to be seen; the colors and the design itself of the magic powers being exhibited are very striking. Sure, you might get reminded of Venom during this scene (I mean, how could you not at one point), but it’s just incredible looking and helps make this issue particularly memorable. Coffin Hill continues to improve with its newest issue, as the story comes more into focus and the mysteries start to come together. With the end of the first arc coming to a close soon, this is shaping up to be a very interesting conclusion.